Make Money and Free Gift Cards seems more like a description than the name of an app. But, it isn't. Since its name is so long, we are going to refer to it as Make Money app. So, what is Make Money & FGC App? 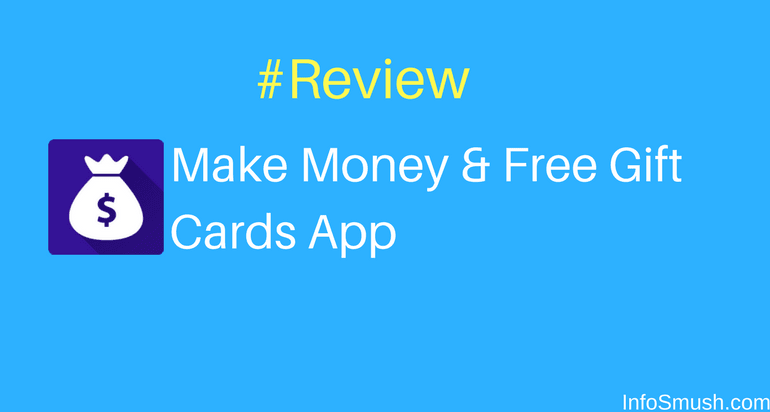 On Make Money app you can earn points by completing offers & surveys and watching videos. You can exchange points for PayPal cash or other gift cards. App Download offers, Videos, Surveys and referral system. You can complete app download offers from various offers providers and collect points. Every offer has some requirements for you to receive your points. So, read the instructions, before you download an app. You can earn 2 points for each video ad. You can also complete surveys to earn points. When your friends enter your referral code they will get 100 coins. And when they reach 200 they reach 200 points by offers, you will get 100 points. You can redeem your points for PayPal, Google Play, Skrill, Steam and more.